Here we demonstrate how the G64 command can effect your tool path. The tool path is controlled by the interpreter and the trajectory planner. The interpreter provides gcode look ahead and the trajectory planner (TP) provides acceleration/deceleration given the machine parameters. There are three commands used to program the tool path. First we will use a gcode file with no tool path commands. After running the gcode file in Auto mode, the .nc file creates the following backplot and TP output is logged to a file. Then the .merged file was created by stitching together the gcode file with the TP log file. 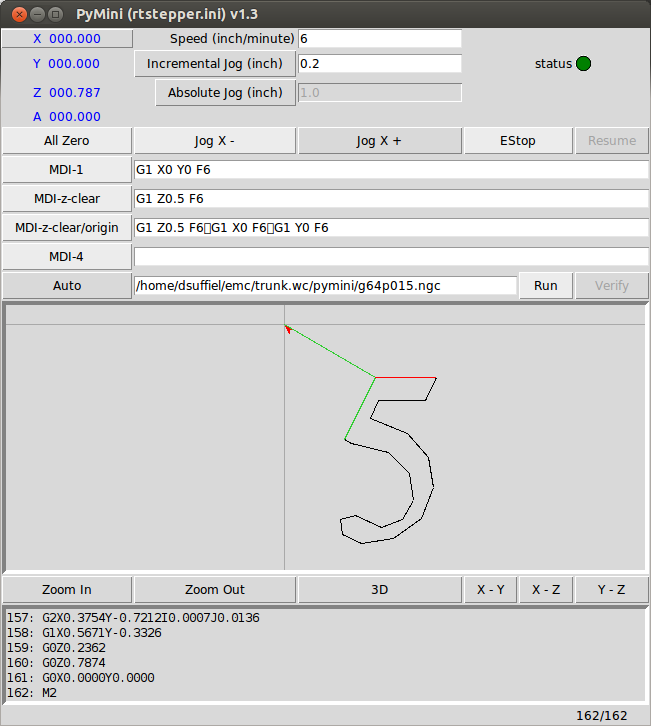 The .merged file shows how each gcode line is processed by TP. TP lines begin with the letter "L" or "C" (L=linear, C=circular). In this example there is approximately one TP line for each gcode line. Note, no blending was performed. Using the G61 command or G64 command with no "P" would have given similar results. 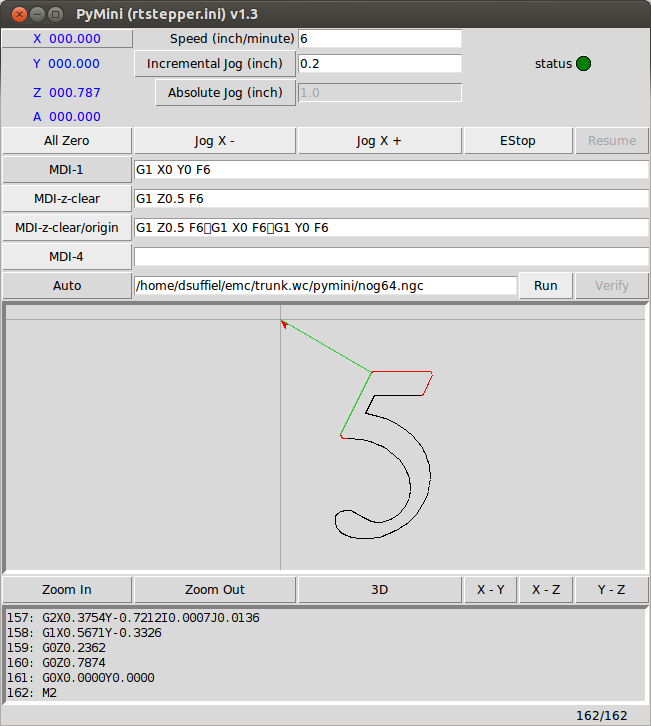 Next we use a gcode file with "M64 P0.015" command set. Using the same above process we create the following .merged file. In this example there are multiple gcode lines per TP line. Note, blending was performed with a tool path tolerance of 0.015. You can also see how blending effected in the backplot compared to no blending. A smaller "P" value or tolerance would result in less blending.